It was a spiritual awakening in the needs of the African-American community that caused a few dedicated men and women to seek the Lord and establish a place of worship. Having just come out of slavery and realizing that it was divine providence that had led them to a new life, there was a burning desire to organize, so they sought the help of God. The American Baptist Home Missionary Society became aware of the need in Manassas, Virginia for spiritual leadership. They sent a young missionary, Rev. Marshall Downing Williams, to organize and establish a place of worship and service in the area. In July 1872, Rev. Marshall Downing Williams, assisted by the late Rev. S.W. Madden, met with local people Sister Dorinda Miles and her foster daughter, Lydia; Brother William Jackson, Brother Willis W. Alexander, Brother Jared Naylor, and Brother Frank Gaskins, on the Old School House yard. The First Baptist Church of Manassas grew from this meeting. The first service of this organized body was held on the second Sunday in October, 1872 (October 13, 1872). Rev. Marshall Downing Williams served faithfully until illness overcame him. He passed on May 17, 1924. The first church site was built on the south side of Center Street between West and Grant Avenue with land donated by Isaac Baldwin. 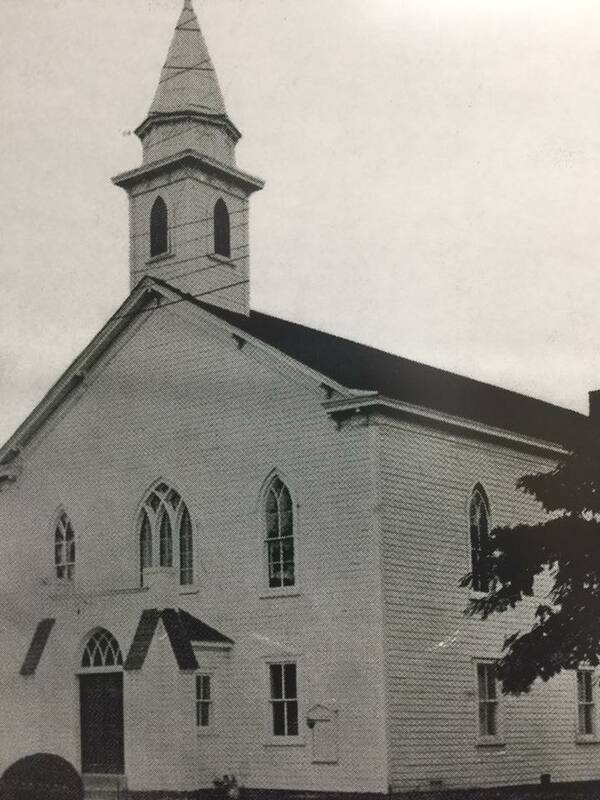 The building was dedicated on July 27, 1879. The present church site was secured in 1905 through a donation of $800 from Isaac Baldwin. The Church site was dedicated on July 29, 1905. During the illness of Rev. Marshall D. Williams, Rev. Daniel Lomax acted as Supply Pastor and served the church until Rev. Erasmer Lewis was called as Pastor. Rev. Arthur Harry Stewart Johnson followed Rev. Lewis as Pastor. Rev. Frank L. White came to First Baptist in 1938 as Pastor. The church’s debt was paid in full and the mortgage burned. Succeeding Rev. White was Rev. Robert Benjamin Kirkland. Rev. Kirkland remained with First Baptist for several years as Pastor. Succeeding Rev. Kirkland was Rev. Albert E. Davis. Rev. Davis was installed as Pastor in 1949. Under Rev. Davis’ leadership, the church body grew in spirit and membership. Many improvements and additions were made, including the refurbishing of the church building. Rev. Davis retired as Pastor on August 8, 1976. On January 21, 1978, Rev. Leroy Gilbert was called to become First Baptist’s next Pastor. Rev. Gilbert served until August 5, 1979. On January 5, 1981, Rev. Dr. Clark A. Houston was called as First Baptist’s Pastor. Dr. Houston initiated the ground-breaking for the new sanctuary on May 18, 1989. Rev. Houston remained as pastor until October, 1989. The Church’s present sanctuary was dedicated to the Glory of God and service to humanity on October 27, 1990. First Baptist is a part of the Walking Tour of Old Towne Manassas Historical Tourist Sites. Rev. Gilbert H. Bradley, Jr. was elected as First Baptist’s next Pastor in November 1990. He became the church’s first full-time pastor in January 1995. Rev. Bradley served as Pastor until February 4, 2001. Rev. Keith A. Savage was called as the 12th (and present) Pastor of First Baptist Church on June 2, 2002. Pastor Savage instituted the church’s vision “Moving the Kingdom Forward through Faith,” and established the church’s logo.First Baptist continues to develop and promote thriving Ministries, Missional, and Outreach services locally, nationally, and internationally. Each year, scores of individuals join the First Baptist Church family. Under the leadership of Pastor Savage, First Baptist Church has created and encourages its family members to partner and serve in one or more of the thirty-five ministries offered, including enrollment in the new Center for Biblical Studies! Pastor Savage has numerous Clergy/Elders serving on the pastoral staff. Under his leadership, the church has been blessed by the Lord with continued growth in spiritual truth, God’s favor, ministry, mission, vision, discipleship, evangelism, teaching, finances, community outreach, and membership. Over 140 years have passed since that memorable summer day in July, 1872 when Rev. Marshall D. Williams and a small number of believers met to organize First Baptist Church of Manassas. We pledge ourselves to continue to grow in the grace, knowledge, mission, and vision of our Lord and Savior Jesus the Christ.